Wow! 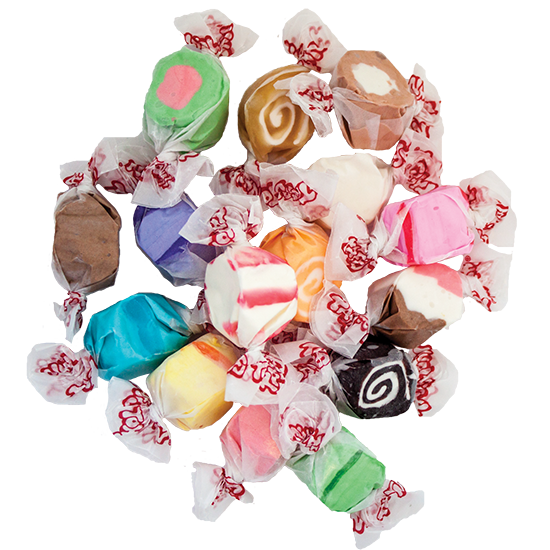 A 5 pound bag of our Assorted taffy! 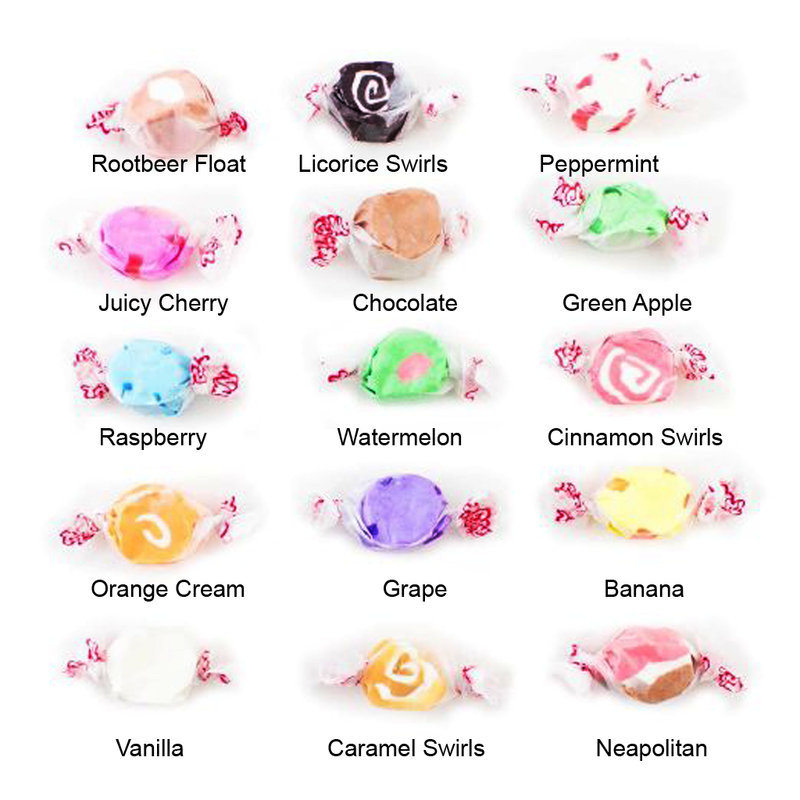 Can’t decide which delicious taffy flavor you want to take home with you? Try our perfect selection of assorted taffies. Flavors include: Banana, Grape, Orange Cream, Peppermint, Raspberry, Watermelon, Caramel Swirls, Cherry, Chocolate, Green Apple, Licorice Swirls, Neapolitan, Cinnamon, Root Beer Float and Vanilla.